Tetzlaff Yacht Sales is very proud and honored to be named the 2018 Readers Choice Winner for Boat Dealer of the Year Award. Thank you to all the folks who voted for us. Again, we are very honored. Tetzlaff Yacht sales has opened another office at Miss Croix Marina in Prescott, WI. 451 2nd St, Prescott, WI 54021 Please stop by if you are in the area. Tetzlaff Yacht Sales continues to be the leader in the sale of great used yachts and boats. Tetzlaff strives to help in the sale and listings of these boats. I take pride in the Tetzlaff name and want buyers and sellers to know that we are here for them before and after. 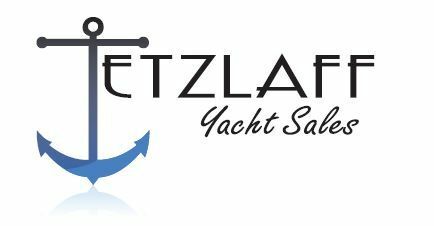 Whether it is a houseboat, cruiser, motor yacht, trawler or other, Tetzlaff is there to work for you. We have the largest selection of boats in the area. We broker boats in Stillwater, Bayport, Hudson, Afton, Hastings, Wabasha, Alma, La Crosse, Lake Minnetonka, all across North America and overseas. Please look at our selection of great used boats and let us know how we can work for YOU! Thank you for visiting Tetzlaff Yacht Sales. Located at the Stillwater Marina/Mulberry Point Yacht Harbor and Miss Croix Yacht Harbor in Prescott, WI. Here is a very popular Cruisers, great layout and amenities. The boat comes with twin 310 HP Mercruisers with 950 hours and 670 hours, generator, marine AC/Heat, full canvas enclosure, head with shower, sleeps 6, GPS plus more info you can see by hitting the "FULL SPECS" button. Please contact us with any questions.